Whether you’re into florals, stars, or ikat, many new collections are featuring some powerful prints to add to your ever-growing wardrobe. If there is one thing I need off of this list, it is this long-sleeved kimono dress. It is absolutely vital to my health and general well-being. 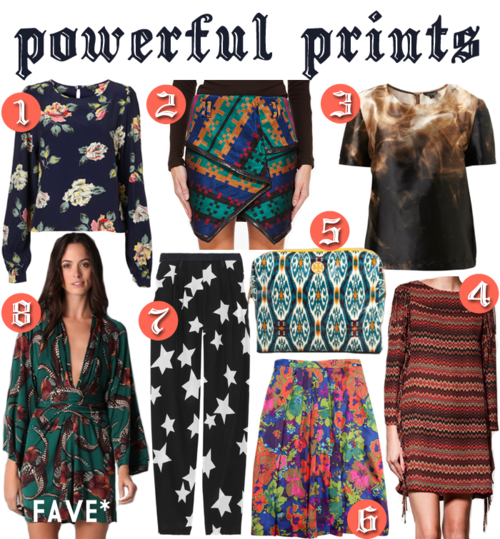 What is your favorite print this season?